So, What's A Jamaica Reggae Music Vacation? To experience a Jamaica reggae music vacation you must first allow yourself to melt into Jamaica's languid allure of "no problem man". Sit back and enjoy some jerk chicken, a red stripe beer or sip some white rum and Pepsi while listening to the sweet soulful sounds of reggae. The music will reach deep into your soul and move you. If you are already a reggae fan you know you're in heaven because Jamaica is the birthplace of reggae music. Combine authentic reggae music with the beauty of Jamaica, plus add in an exciting mixture of nightlife, culture and island activities, and you will have a Jamaica reggae music vacation that will definitely renew your spirit. I am Jamaican born, and I would like to tell you about my beautiful country, Jamaica, and the wealth of activities you can participate in. The different attractions, seven miles of beautiful white sandy Jamaican beaches, our unique art and artifacts, coffee, music and of course our multi-cultural diversity. Once you know about Jamaica, you will want to spend time here, so purchasing a Jamaica property might be an option. What Makes A Vacation To Jamaica So Special? Jamaica's flag inscription states "Out of Many One people." We have so many cultures blending together here, all with rich traditions, foods and unique languages, and all of them come together to make Jamaica what it is today. When you visit Jamaica, you cannot help but experience this unique melding of cultures. 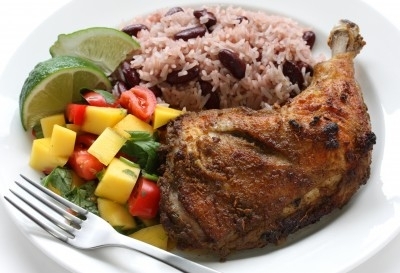 Visitors love to eat Jamaican foods with African, English, Indian, German, Spanish and Chinese influence in our flavors. The language of Jamaica is a blend of African and English. Our voice has a musical lilt and you'll hear unfamiliar words that are part of our unique heritage. The sound of our language adds to the feeling that you are in a very special place. Of course you have seen and heard about our gorgeous spans the many beautiful beaches of Jamaica some with swaying palm trees. We also have lush rainforests, mountains, rivers and a wealth of beautiful animals that live in the different habitats of our island nation. Bird life, rare species of butterflies and delicate hummingbirds - that is our national bird, share the habitat with crocodiles and manatees. All live in and around vast tracts of mangrove swamp in the south part of the island. The beauty of Jamaica is unmatched, and exploring it is an interesting way to spend your vacation. 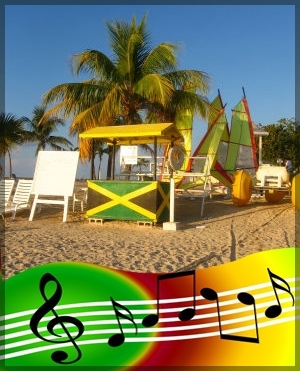 One of the main reasons why people look forward and love Jamaica vacations is because of our reggae music. When you come here for a Jamaica Reggae Music Vacation, you will enjoy sounds of reggae, ska and other styles that come from Jamaica's strong cultural core. The lifting tones of ska and rocksteady, the militant posturing of roots reggae, and the DJ-based sound of contemporary dancehall (heavily influenced by the US hip-hop scene but kick-started by Jamaican DJs), all make the music here special. Reggae music is innovative, sacred and laden with philosophical connotations. To me, roots reggae seems to be a reenactment of Rastafari ceremonies. 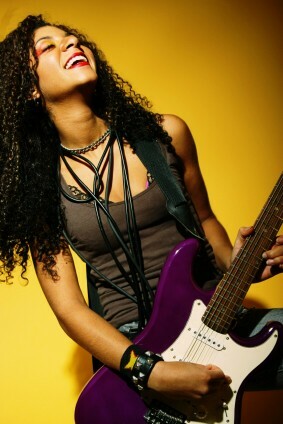 The beating of the drums, the rhythm of the guitar and keyboards all sometimes create a hypnotic effect in your soul. Jamaican Reggae artists bring all of this to you. Reggae Artists like Bob Marley, The Wailers, Peter Tosh, Maricia Griffiths, Beres Hammond, Yellowman, Luciano all tell great stories with their music, and some are still alive and living in Jamaica. I will tell you more about these reggae artists and others, and how they have influenced reggae music. Once I attended a concert of Sly and Robbie; I would have loved for it to go on all night. It was a beautiful thing. If you have never heard these guys play, you are missing out on an experience. They have a distinctive sound that goes deep into you soul and it moves you. You just start swaying, you cannot help it. You can renew your spirit from a Jamaica reggae music vacation. 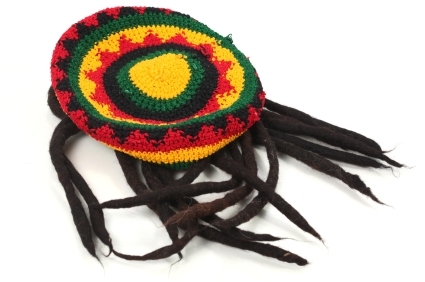 You cannot visit Jamaica without noticing the Rastafarians or Ratas with their red, gold and green colors and their dreadlocks. 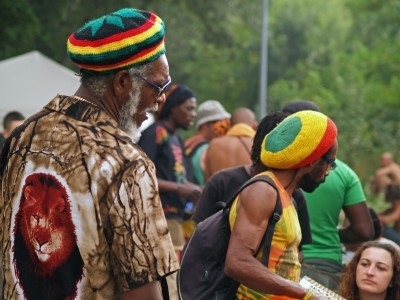 Rastas live by a philosophy of peace and brotherly love, and their beliefs are enhanced through sacramental rites of marijuana (ganja) smoking, bible reading, reggae music, and poetry. 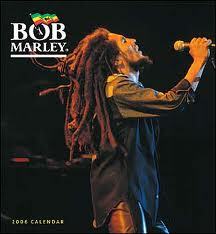 Reggae music, and Bob Marley's songs brought awareness of Rastafarianism to the world. With a Jamaica reggae music vacation, a stage show is always going on somewhere. From the class acts at the Heineken Startime series to International performers at Sumfest, the massive annual reggae festival through-out the island, or the best of the DJs at annual events such as Sting, live music pulsates in Jamaica. Off the beaten path are some lesser known festivals such as the Accompong Maroon Festival in St. Elizabeth, Give Thanks Gospel festival in Negril and our High Mountain 10k Road Race, in Williamsfield, Manchester. In addition to being a great place to hear music we have created some champions from these annual events. For adventurers, there are great places to go both day and night in Jamaica. The nightlife includes clubs, restaurants and casinos. Combining your Jamaica reggae music vacation with day adventures or tours will make your time here memorable. There are so many choices - scuba diving, great caves, horseback riding on the beach, paddling, rafting and many other adventures to get you exploring the beautiful waters of Jamaica. To vacation here is to explore our spectacular mountains, Jamaica wildlife, and Jamaica's more than 120 rivers. The Plantain Garden River in St. Thomas is the only river that flows to the west, and it has spectacular, tumbling waterfalls. Jamaica is so much more than white sandy, turquoise sea and swaying palm trees. Remember we have the best coffee in the world, the Jamaican Blue Mountain Coffee. You will agree with me once you have a taste. I know I know.... I am biased, but it is smooth, delicate and silky-tasting coffee like no other you've ever had. 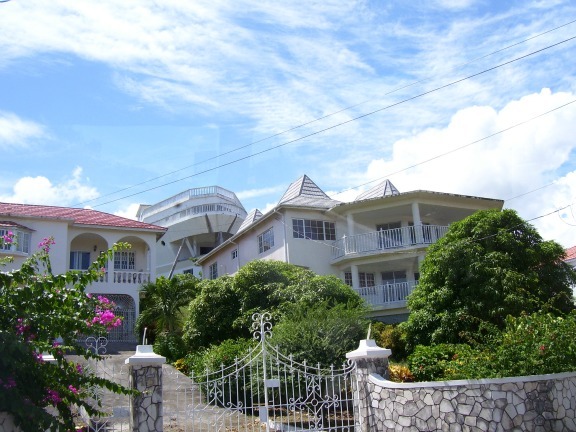 When you visit Jamaica, these are some of the beautiful homes you'll see atop the hillside as you drive by. 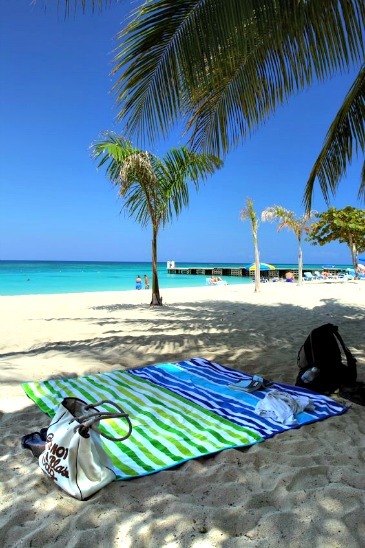 You'll find this site packed with great ideas on places to stay, destination weddings, spa getaways, golfing, beautiful beaches, great activities, and travel tips and documentation needed for traveling to Jamaica. 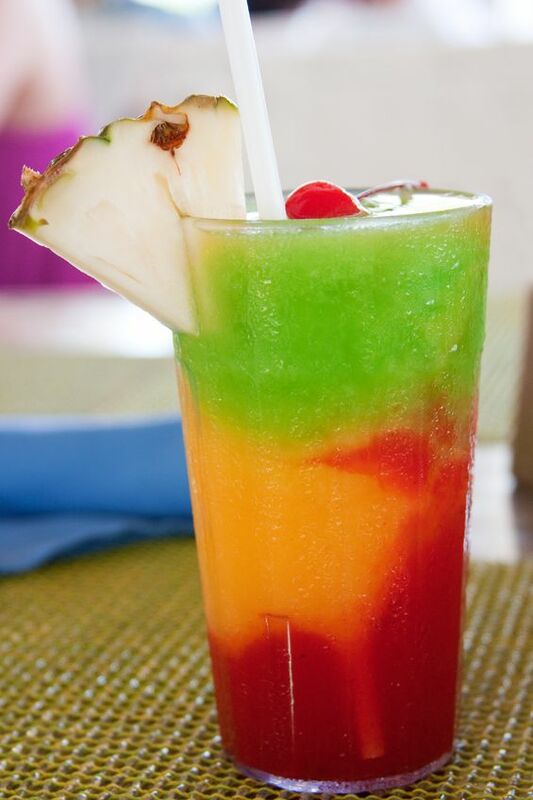 Come dance, taste, smell, and mellow out with a Jamaica reggae music vacation... we are looking forward to your visit. Remember to subscribe to Jamaica Reggae Music Vacation Lovers ezine and let's start planning your next vacation.